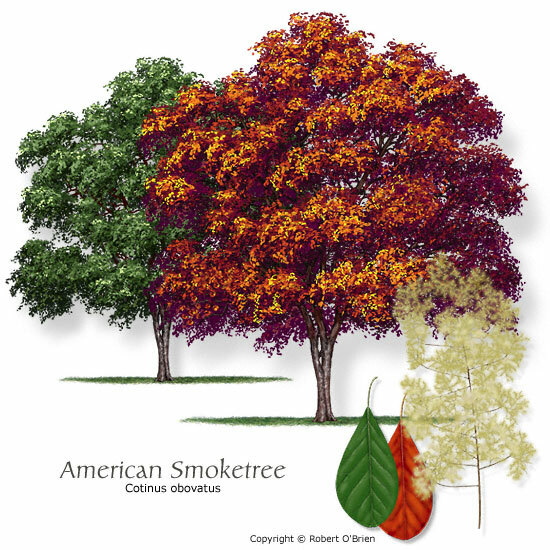 Features: Spikes of purple to pink flowers; distinctive blue-green leaves turn brilliant fall colors. Comments: One of the best trees for fall color. Might be hard to find in the nursery. Problems: Requires pruning to develop one or more main trunks.